A beautiful keepsake collection of 10 bestselling DC Super Hero concept board books--the perfect gift for super heroes in training. 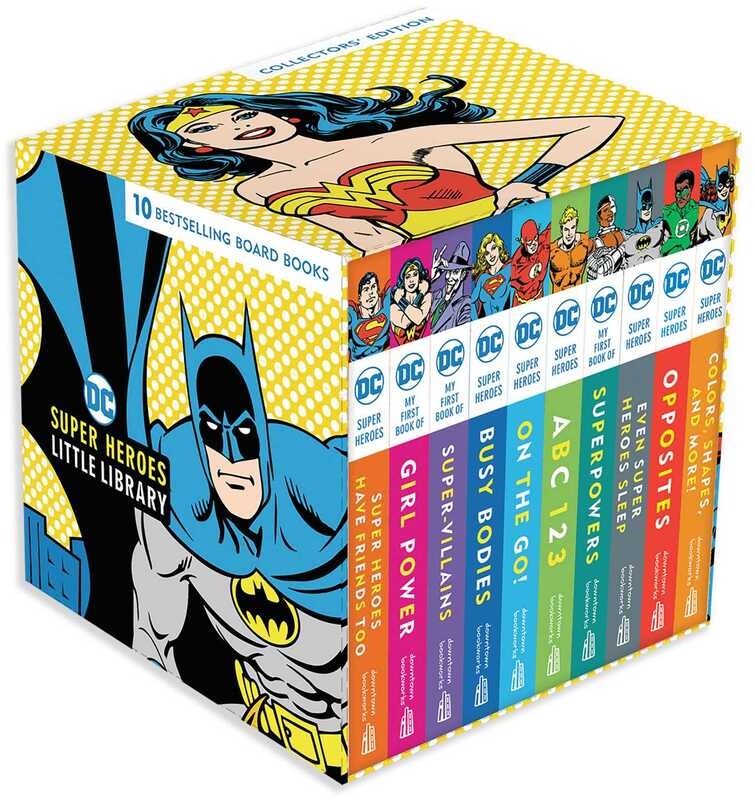 This value gift set includes 10 adorable board books featuring beloved DC super heroes including Superman, Batman, Wonder Woman, Supergirl, Green Lantern, The Flash, and many more! Beautifully illustrated with classic art, each book teaches a different important early concept--from letters and numbers to colors and shapes to opposites and parts of the body. The books are also an ideal introduction to the world of DC super heroes with My First Book of Girl Power and My First Book of Superpowers. Packaged in a gorgeous slipcase (that will look fabulous in any nursery), this is a must-have little library for fans of all ages.